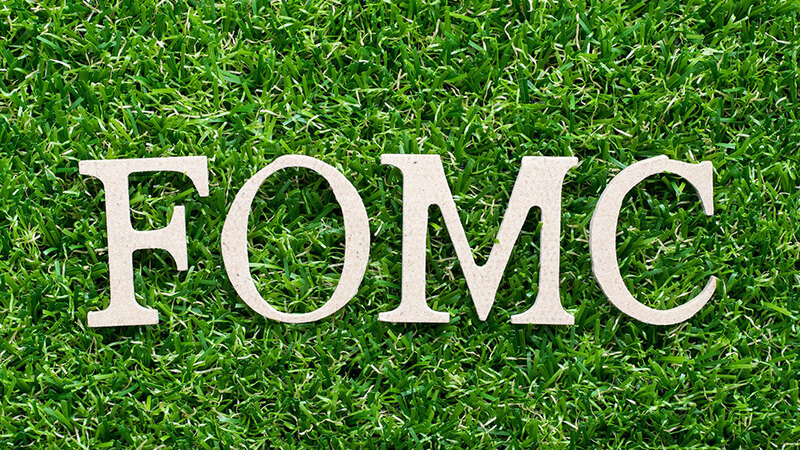 Are you ready for the upcoming Federal Open Market Committee (FOMC) Meeting? From the start of September, several prominent Federal Reserve officials have hinted more rate hikes in the coming months amidst strength in economic data over the past few months. The market’s highly expecting two more rate hikes this year with the next one projected to be after 26th September’s FOMC Meeting. This would be the 8th rate hike since 2015 and 2018 could possibly be the fastest pace of rate hikes in more than a decade. GDP has risen from first quarter of 2.2% to an almost 4-yr high of 4.2% on the second reading released on 29th August. The FOMC’s economic growth forecasts were little changed, with full year 2018 GDP seen rising 2.8 percent rather than 2.7 percent but unchanged at 2.4 percent in 2019 and two percent in 2020. 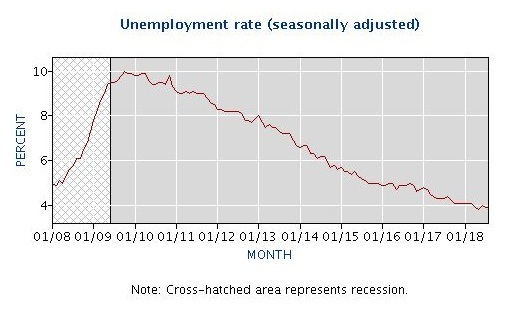 Unemployment rate has fallen steadily to a ten-year low of 3.9% which is even lower than the long-term rate of 4.5%. The Fed’s dot-plot signals targeted Fed funds rate of 2.25%-2.50% by year end. 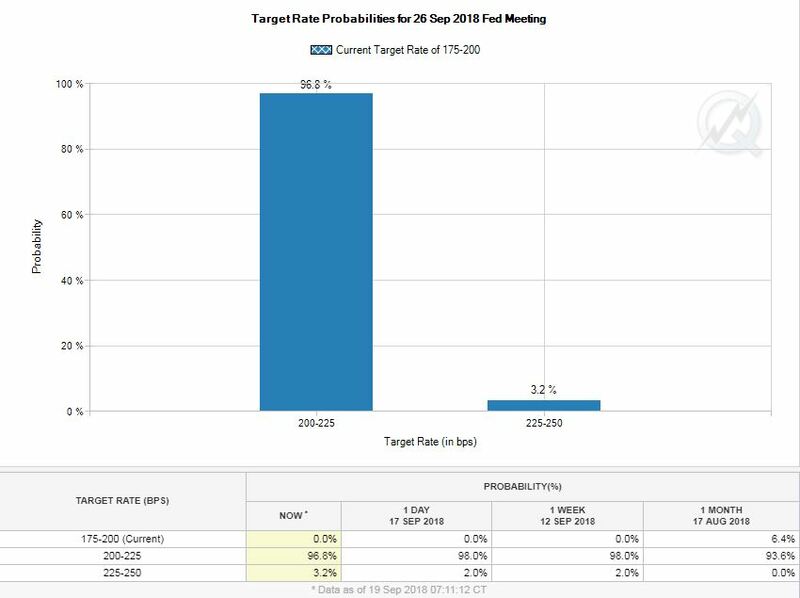 Moreover, CME Group’s FedWatch Tool (as per chart below), a tool that calculates the probability of Fed’s rate decision from the buying and selling activities of the Federal Funds Futures is reflecting more than 98% chance of a Sept hike. With the current rate of 1.75%-2.00%, a September rate hike seems imminent. President Trump’s bill on huge tax cuts are huge tailwinds for the economy in the coming few years. Such fiscal stimulus helps substitute monetary policies that have propelled the economy and asset markets over the past 9 years. The 9-year bull trend seems to be taking a breather with uncertainty during trade wars and increasing monetary tightening by central banks across the globe.Long only investors are on the side lines. Why should you be when you have a Phillip CFD account?We at Phillip CFD have seen some active traders positioning and benefitting greatly from recent volatility.There isn’t be a better time to start leveraging on your Phillip CFD account now!